Why Does the IRS Need 'Stingray' Cell Phone Collectors? Why Does the IRS Need ‘Stingray’ Cell Phone Collectors? 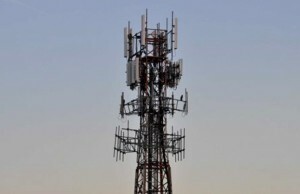 Alert readers will remember that we’ve written about these cell-phone “dragnet” devices before: boxes deployed by government agencies that mimic the activity of cellular relay towers, and interact with thousands of phones at a time recording information about which numbers are in contact. In 2014, the U.S. Marshals Service swooped down on the police department of Sarasota, FL to prevent documents about the use of “Stingray” devices from falling into the hands of the ACLU, after ACLU made a FOIA request for the records.